Tonight's red post collection includes a look at Meddler's quick gameplay thoughts for 8/22 and well as further discussion, a new page of Punches and Plants, details on how your favorite NA LCS team can qualify for worlds, and more! Here's Meddler with his quick gameplay thoughts for August 22, covering upcoming runes reveals, Malphite, Ryze, & more. We've been looking at some non damage focused Runes recently after seeing feedback that people wanted more visibility into utility/defensive options, with things like Don't Blink, Guardian Soul and Perfect Timing. Another post looking at a couple more utility keystones from the Inspiration tree this week as a result. We haven't yet locked down what we'll be looking at after that though. Suggestions would be much appreciated. We've been testing some Malphite changes that have shown quite a bit of promise, in particular giving him a stronger edge against physical damage comps, really playing up his W as a physical damage counter. Haven't yet found the right set of other changes to pair with those buffs though, so we'll be pushing that work into 7.19 instead. Malphite's performing ok already, so don't want to overbuff him, but also want to ensure we're not accidentally hitting him harder than intended. Pre-season's coming up soonish and we figured it might be good to talk about game balance during it a bit. Short version is we're expect pre-season to be pretty messy for a little bit. All pre-seasons are a bit chaotic, since there's a lot changing, and this pre-season's likely to be the biggest yet, given the new Runes system will impact both champion and item balance more than any of our previous individual patches. We're putting a lot of time into compensating for that already of course. Internal testing gives us only a small fraction of the number of games a live release does though, so we'll get a lot more understanding of what needs work once pre-season goes out. We'll be working to get anything that's out of line back into a good spot as quickly as possible, whether that's individual Runes that are too strong or too weak, champions that aren't getting the right mix of whatever it is. We'll likely do a moderate amount of that through micro patches too, jump on things that clearly need significant changes quicker rather than waiting for the next standard patch. We’ll be taking a look at some Ryze stuff soon, with the goal of reducing his difference in power between regular play and organized teams (if he’s balanced to be appropriately strong for regular matchmade games he’s nuts in pro play especially). Approach there’s likely to be similar to the Shen work we did earlier in the year, so moving power around to change strengths and weaknesses rather than changing ability functionality much. Ryze has long been a problem child of course, so not expecting he’ll necessarily be solved after this work, or that we’ll necessarily hit on things worth shipping immediately, figured it was worth mentioning though, both for visibility’s sake and to see whether any of you folks have particularly strong ideas we should be considering in addition to the things we’re already looking at (wave clear, ability to farm, ult coordination requirements etc)." Hi Meddler. Any feedback on Lane Kayn since the DFT/Corrupting Pot bug fix? It seems to have hit lane Kayn pretty hard and most dont even attempt to play him in lane now. Are you guys looking at it like you said you would? And lastly i remember reading on i think reddit you guys were thinking about changing catchup exp in the jungle in the pre-season. Is that still on the list of big changes for pre-season possibly? Yeah, we'll be taking a look at lane Kayn still, though not yet sure if that'll translate into making changes or not. There'll be another Champ Blog in a month or two yeah. As usual it'll probably go into a bit more detail about some announced projects and talk about some upcoming stuff too. XP and gold systems are possible pre-season changes still. We're doing some planning on that this week. Once we've got something concrete there will mention whatever's possible in one of these posts." Not currently planning a rework, more a heavy balance pass like those Shen changes earlier in the year." I know that this is the case, but why haven't any of the reworks addressed head-on how much of a problem he has been? I don't understand, from an internal point of view, why the champion hasn't been specifically been rebuilt around not being a huge problem for pro play. The ultimate, for example; it seems so clear that an ultimate like that would be disproportionately powerful in pro play vs solo queue. Could you please give me some insight on what was prioritised during Ryze's latest rework? We failed to do good enough work in the previous reworks is the blunt answer. We made some progress on some of Ryze's issues (e.g. being that tanky while still dealing that much damage) but ended up adding new issues while chasing other goals (e.g. distinctiveness, high moments, non damage contributions)." Hey, mind listing what are the some of the initial balance work being done in 7.18, since it's a 3 week cycle (and the worlds patch)? Are there follow up work to be done on mages, tanks and the like? More details to follow on other 7.18 later in the week. Trist and Kalista are currently the marksmen we're most likely to make changes to, that's not guaranteed yet though." Azir is aimed to be ready at 7.19 and LeBlanc are after Azir, so my question is. Are you then aiming, to make LeBlanc ready at 7.22(pre-season) or before? something like 7.20 or 7.21? After Azir's update and before pre-seaon? Not sure on LB timing sorry. Azir changes have gone fairly smoothly, LB's proving quite a bit tougher however. Will update when we've got something, but it's going to be a while still." with pre-season and attaskpeed gone, i think you should buff attakspeed per/lvl of yasuo because he actually is viable with 29% as on runes, are there any plans to compensate theses changes, not only yasuo all champions in general that have vital stats in runes to be viable? We'll be giving all champs some extra base stats as part of the process of moving from old runes/masteries to new runes. Which stats will depend on what the champ in question particularly needs to function and feel right. In Yasuo's case that'll mean a fair bit of attack speed. Other champs (e.g. mages) might get no attack speed at all and instead things like extra health/level or slightly increased spell damages to make up for lost AP." Do you plan to make a player-based test group in addition to the PBE feedback to get feedback earlier? We get players into the office each week to test upcoming content and sometimes run similar research labs at the offices in other regions as well. We also run a lot of internal playtests, both with the teams developing the changes and a dedicated internal playtest group of high diamond-challenger players. No plans for an additional group of players testing content pre-pbe as a result." Now that Swain is being reworked, being more oriented on the unique play style he has, his title of master tactician has become available. Do you guys see yourselves ever making a champ who's game play feels like that of a tactician? Ie: careful and pre-mitigated planning, clever predictions in order to be successful? It's possible, though literal tactician at least is a pretty hard thing to pull off in a team game where everyone's already making tactical and strategic calls, especially since elements that support that sort of player tend to be very poorly appreciated (e.g. vision effects). A careful/clever champ, who's focused on creating and capitalizing on situations could certainly work and I think Ekko's W is a fairly good example of how that by contrast can work in LoL. Need to ensure though that there's still interaction for the enemy and it's not all decided by how well the planning player sets things up (e.g. walking into a nest of old school Shaco boxes)." Personally i'd like to see more runes oriented towards being replacements of current masteries, or more of the interesting utility ones like blink. Tomorrow's reveal should be an interesting one for you then :). We'll probably go with a couple of runes/slots next week with scaling versus early game trade offs next week (something suggested elsewhere in this thread). Will try and get a bit more utility either into that or into the one after if possible." Would you say he's in a good spot then? Because from what I've seen he's not and he still has a huge disparity between pro and regular play even after all the attempts at fixing this. I think he's in an ok spot, to the degree we should put time into other champs instead of Shen. His pro/regular play discrepancy still exists, but is significantly lower than it was earlier in the year." Twitch has a petty high banrate at the moment. This is really frustrating for people who actually main him and enjoy this champion. Is there really nothing planned for him even he is out of the line since several months???? He's strong, and gets talked about pretty regularly at present. We don't have any immediate plans for him though. Some of that's that current meta state (Ardent, teams who protect him etc) is pretty favorable to him. Some of it's also that pre-season's coming up and that'll shake a lot of balance up regardless, so assessing cases like him makes more sense after that if they're in ok positions and that allows us to put more time into landing pre-season well." "THAT'S IT FOR NOW FOLKS! I'm sure some of us will kick around and reply to questions throughout the day, thank you so much for the thoughtful questions and discussion! I'll hopefully have more details on how we plan to communicate more in the future! Hey, folks! I'm Riot Asyrite, Product Owner of the Live Gameplay Team, aka Balance Team. With Patch 7.17 Notes out in the wild, we wanted to chat primarily about tomorrow's patch but will take questions on other things you may be curious about. This also marks the start of a renewed effort to talk to players more frequently about how we approach balancing a game as complex as League, both from a philosophical and tactical standpoint. More on that to come! Start posting your questions RIGHT NOW and we'll begin answering questions around 1:00 PM PST! Based on individual schedules and current workload there may be varying amounts of participation from members, but we'll be trying our best to monitor and respond where we can provide insight! Community member Stukov has again compiled all of the interesting answers into a document for your perusal! 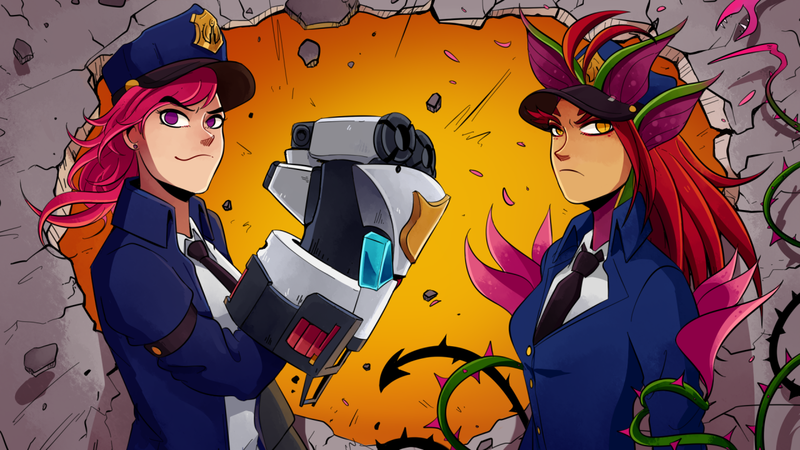 Check out the most recent page of Punches and Plants: A Piltover Police Story, which updates every Tuesday! LoLEsports released an article covering all the ways your favorite NA LCS team can qualify for Worlds. Check out the full article here! 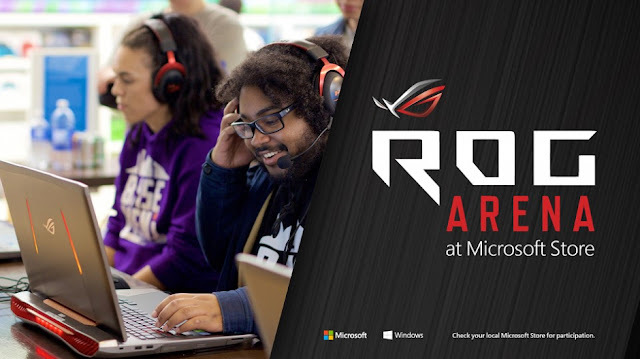 Microsoft has announced a partnership with ASUS Republic of Gamers and HyperX to host weekly LoL events at Microsoft stores across the U.S., Canada, Puerto Rico and Australia, with unique prizes available to win! Apologies for the delay :/"
"Cosplaying from League of Legends at #PAXWest? If so, please join us at the gathering each day at 12 pm on Level 6! https://www.facebook.com/events/468243520211446"
As mentioned in 7.17 notes, Hunt of Blood Moon returns to the RGMQ from 8/25/17 at 12:00 PM PT - 8/29/17 at 04:00 AM PT and 8/31/17 at 12:00 PM PT - 9/5/17 at 04:00 AM PT. The Arcade Boss World event is happen now through 8/24! For all the details on the event, check out our event page! KateyKhaos confirmed the release date of the Star Guardian skins as September 7th!